The Perks of Being a Wallflower stars Percy Jackson & The Olympians: The Lightning Thief's Logan Lerman as Charlie, a freshman who is struggling with the suicide of his closest friend while trying to make sense of the teen world of cliques, crushes and sexual confusion. Though shy, Charlie soon finds his way into a close-knit crew of new friends, played by Harry Potter star Emma Watson, Arrested Development's Mae Whitman, and We Need to Talk About Kevin's Ezra Miller. As the novel is unfolded through a series of letters that Charlie writes to an anonymous pen pal, it's hard to imagine how even Chbosky will be able to translate his introverted hero to the screen, which is part of the reason we recommend reading the touching source material. All the same, it's hard not to get excited for this fast-approaching feature with such a stellar young cast. The fact that the always-wonderful Melanie Lynskey and the effervescent Paul Rudd are also on board only heightens this adaptation's appeal. 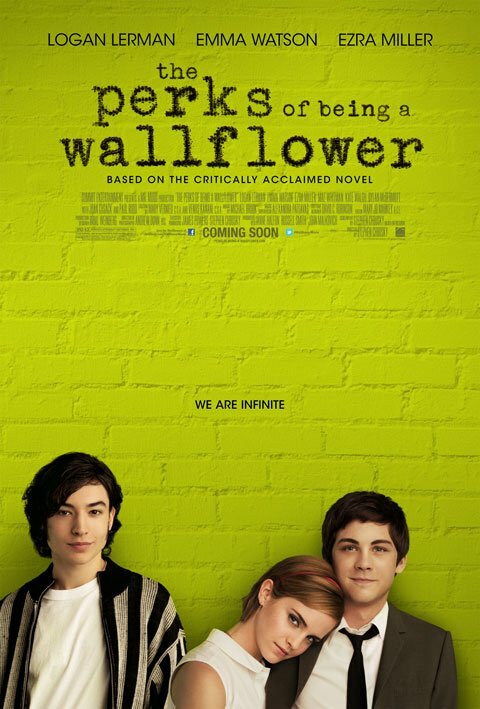 The Perks of Being a Wallflower opens September 14th. HeroBlend #47: James Gunn Returns To Guardians 3!